Did you know there are highly efficient, largely automated systems for conducting retail audits today? Some organizations devise their own system, one or more “checklists”, usually in Excel. Is it cost-effective? 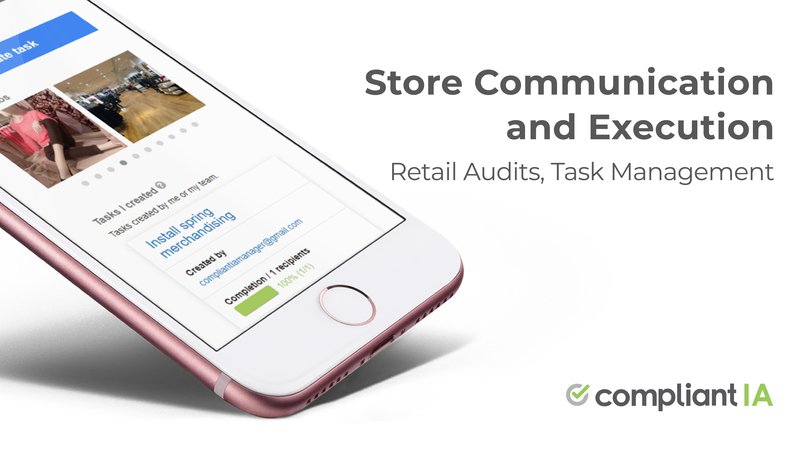 Let us compare how much retail audits cost, with and without retail audit software. Audit preparation consists of scheduling the audit and notifying the store owner/manager (unless of course the audit is unannounced in which case it should be scheduled in the district manager’s calendar and visible to higher-ups but not to the store). Audit preparation also typically involves looking up past audits and preparing notes for the upcoming audit. This takes 15 minutes. Getting a district manager to a store takes time. In the very best of circumstances (a short drive, no flying), it takes 45 minutes to get a District Manager to a store and another 45 minutes to get her to her next appointment. District managers covering a large geographic area will of course take longer but the point of this exercise is to be conservative with our assumptions and numbers. A regular audit is assumed to take 2 hours. Another hour is spent calculating the score, creating the action plan and printing and signing copies. Post visit, the district manager is expected to follow up on the action plan. With paper and Excel-based processes, this usually requires follow-up phone calls and emails. This takes an hour. The Excel or paper form is usually sent electronically or mailed to head office where it can be keyed-in to a central repository and stored. This takes 30 minutes. With these assumptions, an Excel or paper-based retail audit takes 380 minutes of time. Using the industry average salary for a district manager of $68,781 (including benefits, see payscale), this translates into a cost of $222.25 to the organization. As any VP or Director of Operations knows, this is money well spent. In any multi-unit environment, ensuring compliance with service and merchandising standards is a key guarantor of success and risk-mitigation. Which is not to say, you can’t do better! Compare the Excel and paper-based costs to those of the Compliantia solution. Audit preparation is largely automated and greatly simplified with Compliantia. The system comes with a calendar (that integrates with Outlook) to schedule both announced and unannounced visits. Notification and reminder emails are automatically sent. Looking up past visits is quick and easy. Past visits show trends, repeat problem areas and outstanding action plan items, if any. The district manager can type her notes into the scheduled visit ahead of time. This means that the audit preparation only takes 5 minutes, instead of 15. Again, it takes 45 minutes to get the district manager to the store and another 45 minutes to get her to her next appointment. 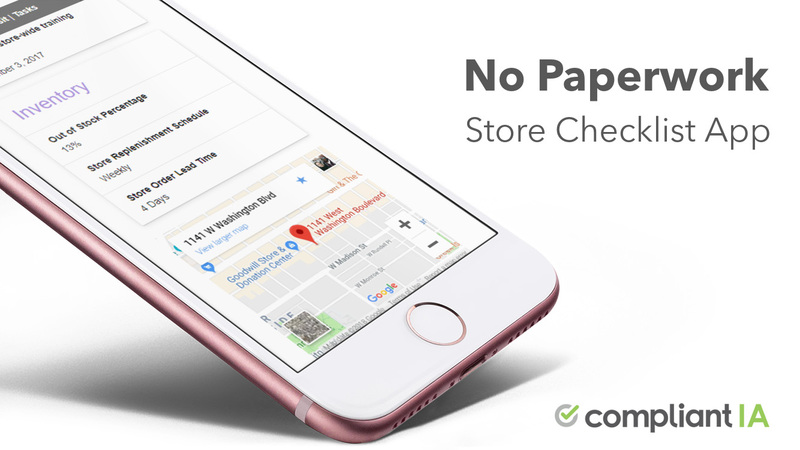 Compliantia handles geolocation (“find my closest location”) and saves time to identify a store and the applicable form to start a visit. That’s 10 minutes saved from a 2 hour visit. Compliantia automatically scores the audit and, being fully electronic, does not require a paper trail (an electronic paper trail is automatically created). That’s 20 minutes saved. The Compliantia Action Plan is automatically constructed from all non-compliant items found during the visit. Creating the action plan is simply a matter of assigning non-compliant items to individuals, individually or in bulk. For this reason, instead of taking 45 minutes, it only takes 15. Follow-ups are also largely automated. At any time, the DM can log-in to the application to see any visit with at least one outstanding action plan item. The DM can follow up electronically and assign tasks. No more phone calls and hard-to-track emails. For this reason, the time it takes to follow up is cut from 60 minutes to 15. Lastly, being electronic and real-time, there is no need to mail or re-key data with Compliantia. That’s 30 minutes saved. End to end, a Compliantia field audit takes 235 minutes of time. Using the same industry average salary for a district manager, this translates into a cost of $137.45 to the organization. The combination of automation and labor savings mean that the organization saves 145 minutes and $84.81 for every field audit conducted using Compliantia. For more information on the costs and ROI of retail audits, please refer to The Cost of Non Compliance. Previous Post Great Sandwich. Lousy Washrooms. Next Post Who Benefits from Retail Audits?